Student-led discussions can lead to a higher sense of community and peer engagement in online courses (Ke, Fengfeng, & Kui Xie, p. 4). In MSGH 450, students were given instructions in the course syllabus on how Team Presentations would be used to leverage multiple individual perspectives to help guide the study of course materials each week. The instructions assigned a different student group each week to create a visual presentation and a set of questions about the assigned reading materials. The presentation and questions were used as a prompt for a class discussion. Early in the course, students formed groups of 3-5 students. These groups were the Presentation Teams. Each team was assigned a week to present and was required to read the necessary reading materials prior to the week. After reading the materials, the team collaborated to create 4-12 questions to post as a discussion prompt for their peers. This served as a guide to that week’s reading materials. The team also created a presentation related to the course topic of the week and posted it to the discussion. Students were given time to view the presentation and read the materials, then respond to the team’s posts by the due date assigned in Canvas. The instructor provided some questions for the teams to consider when creating both the reading questions and the presentations. The questions acted as a guide or rubric to help maintain consistency in the quality and focus of each week’s discussions. Presentations could include multimedia and interactive components, such as videos, infographics, and quiz responses. In MSGH 450, it was common for students to record an original, narrated presentation and also share links to existing videos or presentations that are publicly available online. To encourage a significant amount of exchanges on the discussions, a required minimum amount of responses was set for each team member to reply to their peers. All students were given a participation grade based on the quality and frequency of their responses during the entire course. The weekly team was also given a group grade for their completion of the presentation and question set. This activity promoted peer learning and tasked students with coming up with creative ways to inform and engage their peers. Student presentations demonstrated that they were seeking information that helped them become more familiar with the concepts outlined in the Learning Objectives. Using an interactive platform expanded the range of resources that students can use for input; this included photos and videos, graphics, audio, text, and optional interactive quiz or assessment tools. Most students chose to use the familiar presentation tool, PowerPoint. They posted a set of text questions on the discussion board along with a multimedia presentation, often including voice narration, text annotation, infographics, and links to video clips. Part of the requirement for participation was to elicit responses from peers that could come in the form of text-based replies, embedded media, or linked external content. Many courses could benefit from using constructive learning techniques. 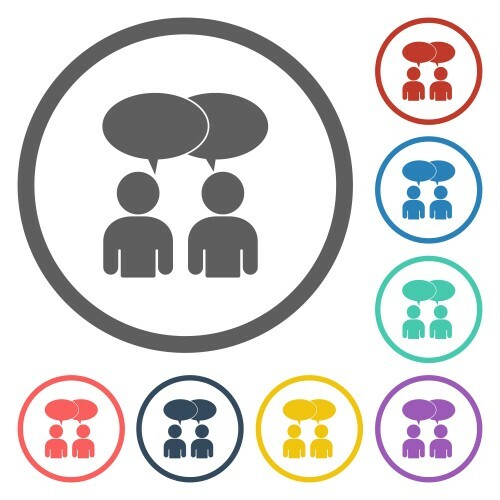 Open discussion platforms are common and often necessary in online courses. While group collaboration online may at times be an extra level of effort, [link to group collaboration exemplar] it can be a rewarding process both for the group and the rest of the students in the course. The Canvas LMS has a variety of ways to empower students to teach each other. Any assignment can include a peer evaluation with grading and comment features similar to the class discussions. Ke, Fengfeng, and Kui Xie. “Online discussion design on adult students’ learning perceptions and patterns of online interactions.” In Proceedings of the 9th international conference on Computer supported collaborative learning-Volume 1, pp. 219-226. International Society of the Learning Sciences, 2009. Rourke, Liam, and Terry Anderson. “Using peer teams to lead online discussions.” Journal of interactive media in education 2002, no. 1 (2002): Art-1.